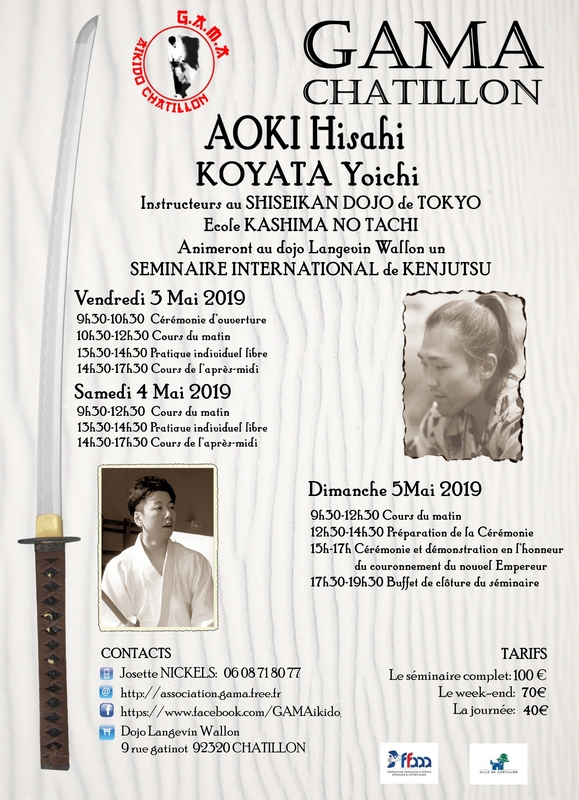 I have the great pleasure to inform you that the sixth Kashima no Tachi seminar led by Aoki sensei and Koyata sensei in France will take place from the 3rd to the 5th of May 2019 in Châtillon 92320, Dojo Langevin Wallon, 9 rue Gatinot. Please find the poster and the pre-registration file to be sent back before the 30th of March 2019. Payment will be made in Euros (in cash, when possible) to simplify the procedures. This seminar will be dedicated to the celebration of the enthronement of the New emperor with a special ceremony to take place on the afternoon of the 5th of May (all details on poster). Nous avons le plaisir de recevoir Philippe ORBAN, 6ème Dan, à Châtillon en mars prochain (22-24), à l’occasion d’un stage d’aïkido et de kenjutsu. 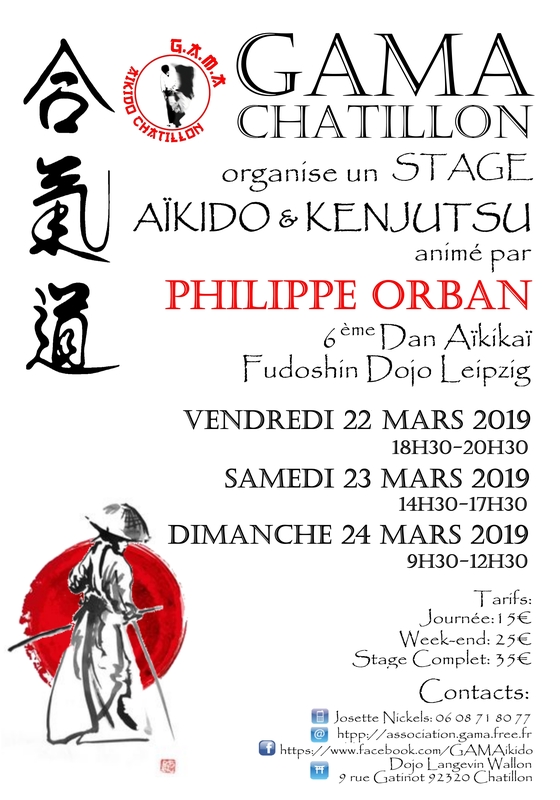 We have the great pleasure to welcome Philippe ORBAN, 6th Dan, in Châtillon next March (22-24), for an aikido and kenjutsu seminar. Nous vous prions de trouver, ci-joint, l’affiche et le bulletin de pré-inscription à nous retourner avant le 15 mars 2019. Please find, enclosed, the poster and the pre-registration file to return before the 15th of March 2019.